France and UK and supported by 14 of the 15 UN Security Council Members and also co-sponsored by Australia, Bangladesh, Italy and Japan-non members of the Security Council this year. The Minister said, the proposal has been mooted four times in the UN to list Azhar as a global terrorist. 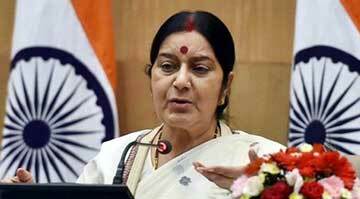 In 2009, India under the UPA Government was the lone proposer whereas India's proposal was co-sponsored by the US, France and UK, in 2016.Mrs Swaraj said, in 2017, USA, UK and France moved the proposal. Earlier this week China had put technical hold on proscribing Azhar as global terrorist under the UN Sanctions regime.